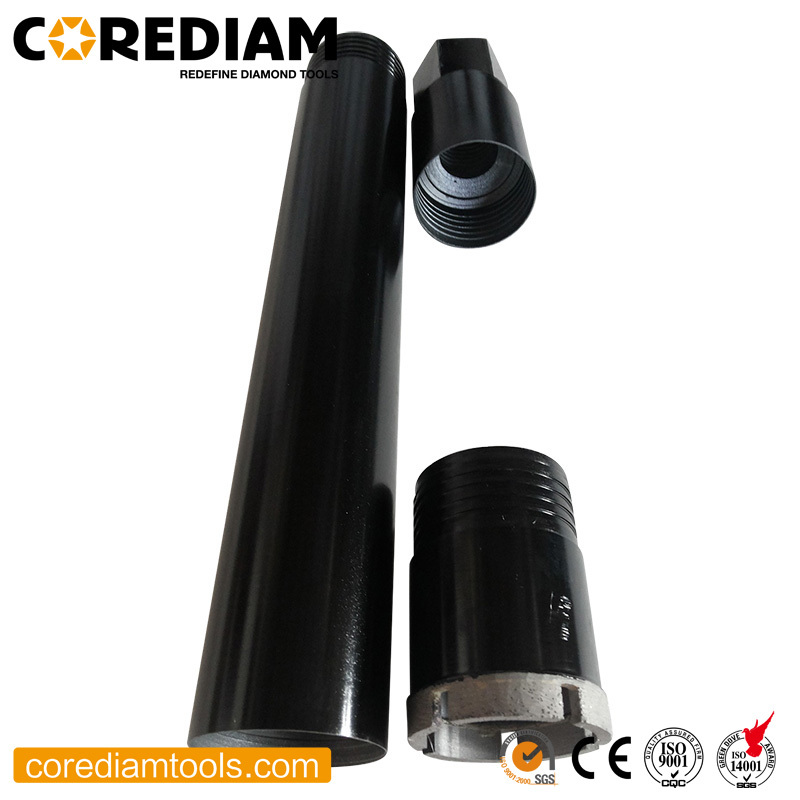 Three-piece Diamond Wet Core Drill is separated, including drilling head(with diamond segments), extension rod and adaptor. It's laser welded diamond Core Drill. Three-piece diamond core drill have the common charactoristcs, fast drilling, long drilling life and high efficiency. The adapter length is 100mm. The oustanding feature is you can drill whatever depth that you wanna drill, just by adding extension rods. Diameters range covers 1 inch to 20 inches. We can also supply laser welded Dry Core Drill, core drill barrels, vacuum brazed core drill and electroplated hole drill bit. We have full prodcution line to manufacture core drill, the production capacity of three-piece core drill can reach 1000 pieces per month. We can slo help to design full package solution for your trademark. Looking for ideal Diamond Reinforced Concete Three-piece Core Drill Manufacturer & supplier ? We have a wide selection at great prices to help you get creative. All the Three-piece Core Drill in 82mm are quality guaranteed. We are China Origin Factory of High Quality Three Piece Core Drill. If you have any question, please feel free to contact us.